For over 2,500 years, the four-fold assembly of Buddhist monks, nuns, laywomen and laymen have closely supported each other on the Buddha’s path to liberation. The Pali term “upāsikā” (laywoman) or “upāsaka” (layman) can be translated as “one who sits close by”. It has come to refer to dedicated lay Buddhist practitioners who join with monastics in the practice of the Dhamma and who commit to follow the Three Refuges and Five Precepts. Building on the models established at other Western monasteries in the Ajahn Chah Thai Forest Tradition lineage, Birken Forest Buddhist Monastery (‘Birken’) established the Birken Upāsikā Training Program for Dedicated Lay Practitioners in 2015 to provide a formal training structure for lay people to practice and study together, under the mentorship of Ajahn Sona and in close relationship with the monastery. After completing an initial year of formal training as new initiates, with regular gatherings at the monastery and monthly assignments online, upāsikās may then choose to join the upāsikā “alumni” program of continued study and community sharing online. In the Birken Upāsikā Training Program for New Initiates, teachings are provided by Ajahn Sona at three mandatory Upāsikā gatherings at Birken, and through monthly Dhamma talks, assignments and discussion on a password-protected website. The central teaching theme of the first year of the program is a systematic study and practice of The Buddha’s Noble Eightfold Path, using a core text by Bhikkhu Bodhi (“The Noble Eightfold Path: The Way to the End of Suffering”) and corresponding Dhamma talks by Ajahn Sona. Beyond this central theme, monthly assignments and gatherings deal with the broad topics of meditation, sutta study, chanting, forms and conventions of the Thai Forest Tradition, and the symbiotic relationship between the monastic sangha and lay practitioners. Meditation instruction focus on Ajahn Sona’s methods for meditation on the breath (anapanasati), death (maranassati), loving-kindness (metta), and walking meditation. Ajahn Sona also spontaneously weaves in other essential teachings and relevant aspects of Buddhist history, with an emphasis on understanding samatha and vipassana practices in a historical context. Participants are encouraged to foster a close relationship with Ajahn Sona as their spiritual mentor during the first year of the program, and to seek personalized spiritual advice from Ajahn Sona by way of interviews at the monastery and asking questions in the online discussion forum. A core component of the program is the strengthening of kalyāna-mittatā (wise spiritual friendship) between upāsikās who are affiliated with Birken, by way of regular gatherings both at the monastery and in the virtual realm of the online discussion forum. 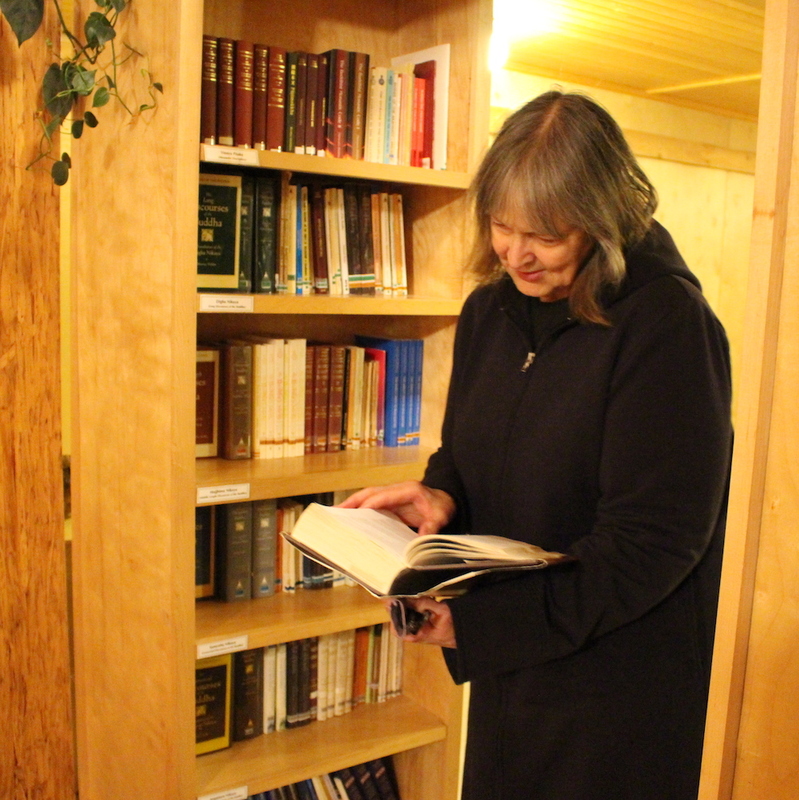 Between and beyond the mandatory gatherings at Birken, upāsikās are encouraged to establish or join existing regional upāsikā groups that are affiliated with Birken (including many that are now well established by “alumni” from previous years). 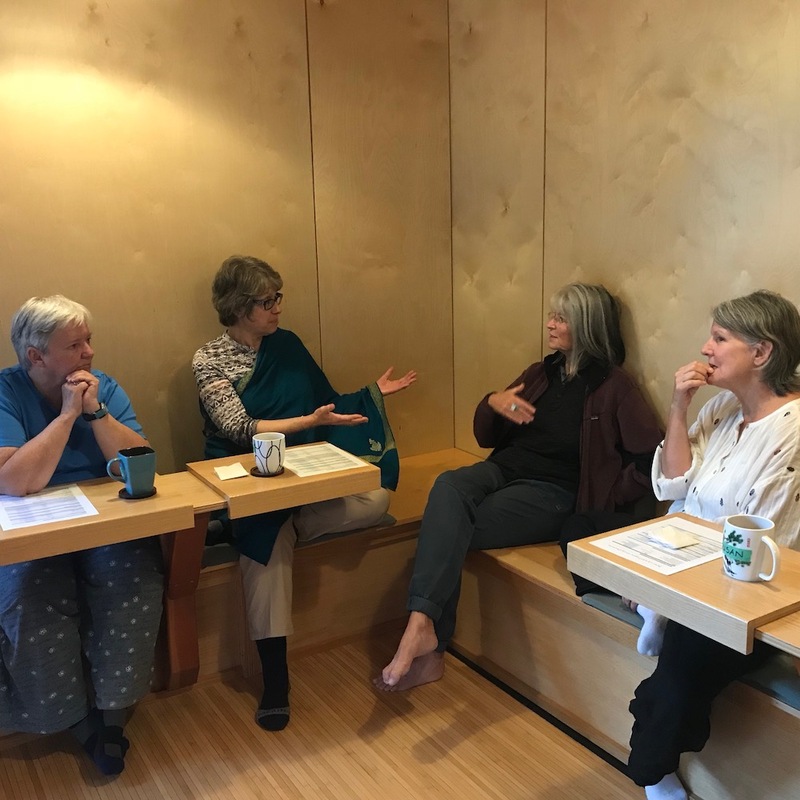 To provide dedicated lay practitioners with a formal spiritual training structure that will aid in the deepening of individual practice and self-discipline. To cultivate lay practitioners’ conceptual and experiential understanding of the Teachings of the Buddha, as well as the forms and conventions of Birken and the Theravada Thai Forest Tradition of Ajahn Chah. To strengthen the symbiotic relationship between Birken’s ordained Sangha (Ajahn Sona) and affiliated lay practitioners (upāsikās). To foster a supportive community of ‘kalyānamittas’ (spiritual friends) for like-minded lay people affiliated with Birken. 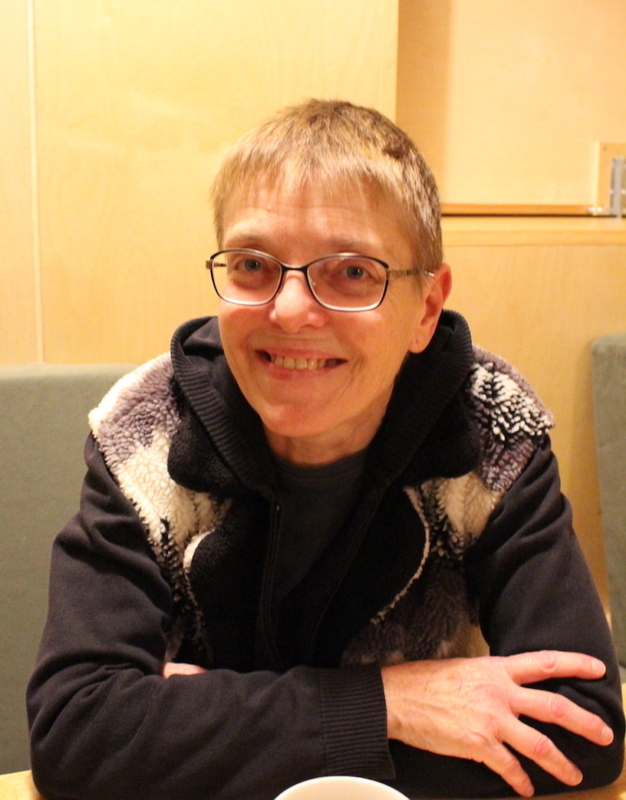 This program is not designed for absolute beginners or newcomers to Birken, but rather for experienced practitioners who wish to deepen their practice under the tutelage of Ajahn Sona and to strengthen their affiliation with Birken Forest Buddhist Monastery. Therefore, to be eligible to apply for the Birken Upāsikā Program, you must have visited Birken for a period of at least 10 consecutive days in the recent past. Priority will be given to those who have been visiting the monastery regularly over the last two years. This year, we accepted 12 participants into the program. All participants are required to attend the three mandatory gatherings (dates outlined below), without exception, and will be guaranteed overnight accommodation at the monastery. 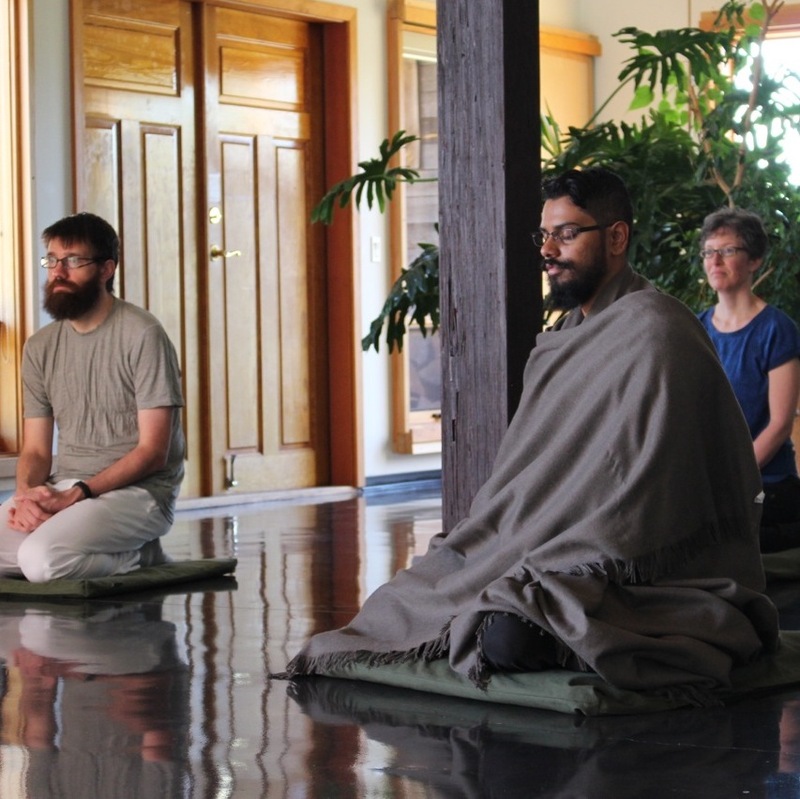 There will be no “remote” option for the 2018-19 group as we have found that regular gatherings at the monastery during the first year of training are an indispensable component of this program. Take the Three Refuges and the Five Precepts as the foundation of their spiritual life. Take the Theravada Thai Forest Tradition (Ajahn Chah lineage) as the focus of their Buddhist practice. Commit to Ajahn Sona’s teachings, modes of practice, and personalized guidance for the duration of the program. Commit to practice formal meditation daily. Designate one ‘Day of Observance’ per week, on which a heightened importance is given to their spiritual practice (e.g. following the Eight Precepts and making more time for meditation on the weekly lunar days). 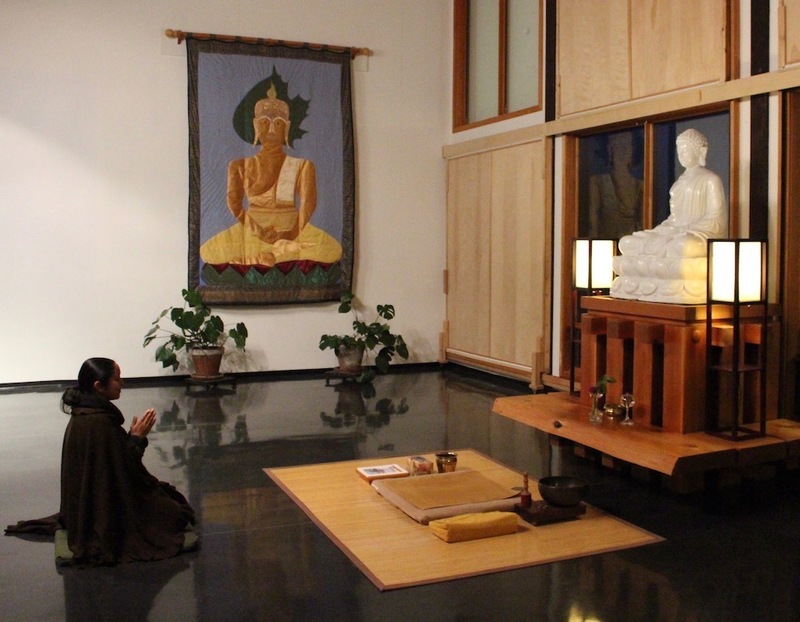 Commit to attend all three scheduled Upāsikā gatherings at Birken Forest Buddhist Monastery. Actively engage with the online monthly assignments (recorded Dhamma talks, assigned chants, assigned readings, and online discussion forum). Provide support to the Sangha, according to their means and abilities. Commit to complete the full first year of upāsikā training (participants will then have the option to join the alumni group). 1. To the Buddha, I go for refuge. 2. To the Dhamma, I go for refuge. 3. 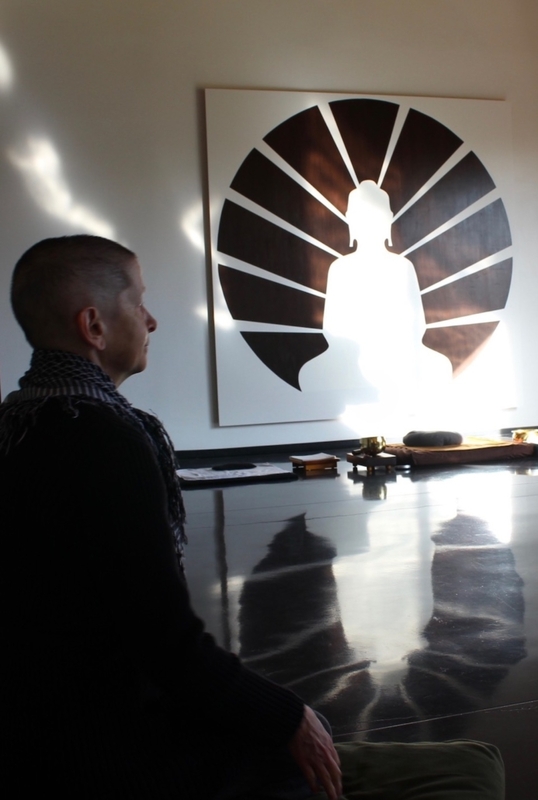 To the Sangha, I go for refuge. 1. I undertake the precept to refrain from taking the life of any living being. 4. I undertake the precept to refrain from false and harmful speech. 5. I undertake the precept to refrain from consuming intoxicating drinks and drugs which lead to carelessness. Registration for the 2018-19 Birken Upāsikā Training Program for New Initiates is now closed. Birken Forest Buddhist Monastery is a registered Canadian charitable society and is supported entirely by donations or ‘dānā’ (generosity). All teachings, accommodations, and meals are offered free of charge. It is left to the good will and discretion of visitors and well-wishers to decide how they might support the work of the monastery.